Hug Music is a unique music school for all abilities founded by Kana Kamitsubo-Markovic and Sasha Markovic who share a strong belief that music can lead us to self-actualization. They believe in a mission to provide a place where individuals can connect to their hearts, inspire creativity, and express themselves through creative art form. 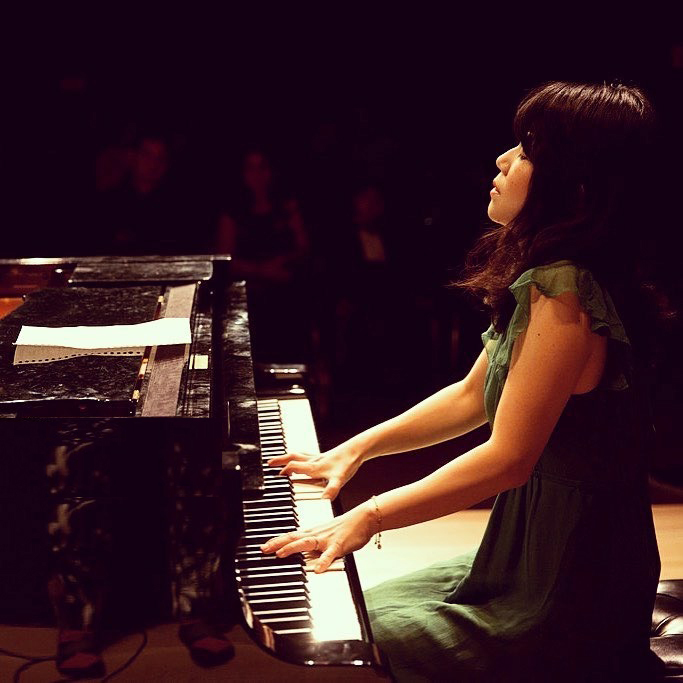 As a music educator, Kana has been teaching piano to students of any ages and abilities. She customizes her teaching approaches to meet her students’ needs and requirements and motivate students in learning piano. With her expertise in music therapy, she has numerous experiences in teaching music to diverse populations with special needs, including autism spectrum disorder (ASD), ADHD, and ADD. As a music therapist, Kana has actively worked with a variety of populations and is especially recognized as an expertise in two areas. Her first specialty is in “clinical improvisation”, an essential and effective approach in music therapy. Possessing strong ability and knowledge in clinical improvisation, she has served as a course author for “Clinical Music Improvisation” class in Master’s degree curriculum at Berklee College of Music. In addition, her work with children with autism spectrum disorder (ASD) has received attention from the field of music therapy and music education. In 2008, Kana began establishing her own music therapy method, Musicreative, which combines music therapy and music education and enables children with learning disabilities learn music. She has worked with countless number of children with special needs and not only successfully taught them music and piano instruction, but also helped them improve their non-musical skills such as pre-academic and cognitive skills. This approach is referred to as a“highly significant in the field of music therapy, music education, and special education” and regarding the outcomes of her students, “they have far exceeded the outcomes typically attained by clients on the spectrum,” according to Dr. Darcy Walworth, Chair of Certification Board of Music Therapists and Co-chair of the Autism Task Force for the American Music Therapy Association. Kana has been asked to give workshops, lectures, and presentations nationally and internationally as well as to write articles about her approach.